My Mum rang me yesterday for a chat. We talked about my nieces, Hannah and Ella, and my nephew, Hugo. I’m getting a sewing machine for my birthday and Mum and I talked about having some sewing days – I think Mum is still in shock that I want to learn sewing! Near the end of the telephone call Mum told me she had some news. She hesitated and I started to feel nervous that it was going to be bad news. Mum told me it was hard to tell me the news. I became even more worried then and I said to Mum to just tell me and I braced myself. After suggesting a few other names I finally hit on the right couple. I think I then did a little dance of excitement. Mum admitted that, while she is thrilled, she does find it difficult to hear about other people’s pregnancies when she knows Kirby and I can’t have children, and that she finds it hard to tell us this kind of news because it might hurt Kirby and me. We talked for a bit longer and I reassured her that I was happy and excited for the couple concerned. I admitted that I would probably go through a few minutes of “it’s not fair – why them and why not us?”, but that this would pass pretty quickly. I think Mum was relieved to hear this, but I know she, and Dad as well, will have similar feelings and I hope they take the time to sit with them for a while, without guilt. This is not easy to do. It surprises me just how far I have come in the last few years. The feelings of sadness and anger that other people can have children and we can’t has mellowed so much. It used to be overwhelming and prevented me from fully enjoying the news and then the arrival of a child (or children). I don’t know whether it’s because so many people in our circle of family and friends have had children in the last few years and I’ve been forced to deal with it, or whether it’s time that has soothed the wound – maybe it’s both. Whatever the reason, I am happy that I can deal with the news that family or friends are expecting a baby (or babies!). But in saying all of this, sometimes I do feel angry. This anger is not at the fact that other people are having children, but that we can’t have children as well. It isn’t fair. It will never be fair. One of my favourite books is “Women Who Run With the Wolves” by Clarissa Pinkola-Estés. She talks about rage left over from old injuries. She describes this kind of rage as being like shrapnel, which every now and then can twist and turn and hurt. 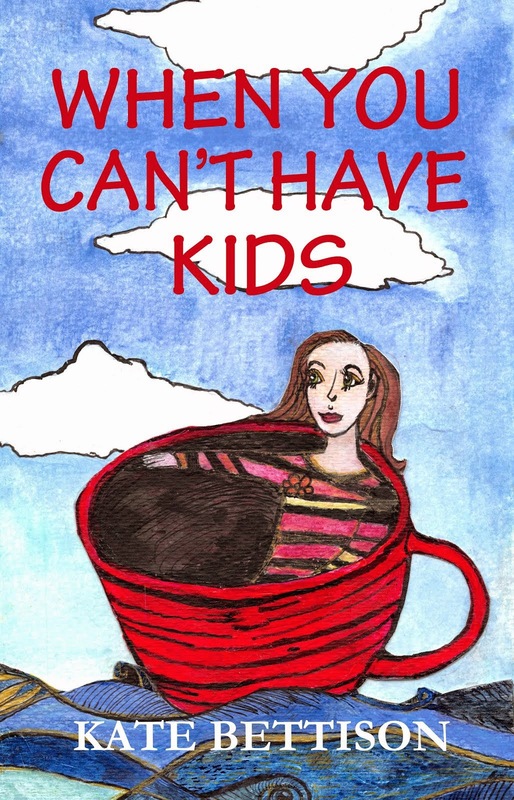 That’s how my rage about not having children feels. I’m okay most of the time, but then the twisting happens (often with news such as friends or family expecting children). Over time I have learnt how to bring healing to the injury time and again. I don’t fight it – instead I withdraw to think about and deal with the original wound, which was finding out we can’t have children. The rage starts to diminish when I look at it and be with it for a while, without trying to judge it or judge myself. I don’t feel guilty for these feelings of rage anymore. They are what they are and they are natural. Once they go again I can reengage in life again with peace and joy. It takes work, but I can now be my own healer.